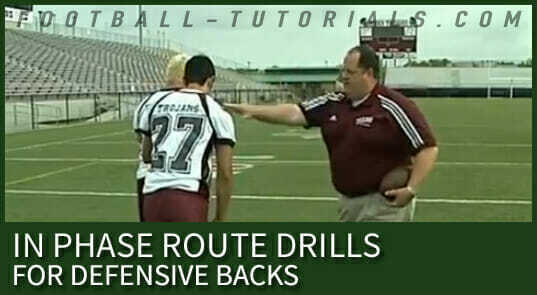 To work on stance, footwork, and fit position for offensive linemen. 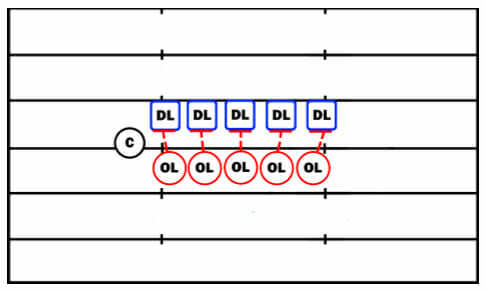 You’ll need 5 offensive linemen and 5 defensive linemen, all on the line of scrimmage about a yard or two apart, with the coach standing in between them on one end. On the coach’s signal, all 5 offensive linemen will take their first step out of their stance. 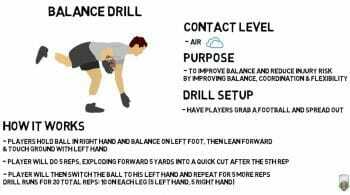 Coach will evaluate to make sure players are balanced, then give signal for second step, and evaluate one more time. 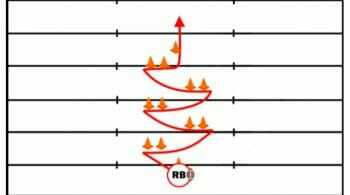 If all players are able to take their steps, stay in control, and be technically sound and ready to make the block, blow the whistle, and let them finish the blocky getting into fit position, rolling hips, and driving the defender back. Make sure the offensive linemen does not rise his hips to get into the fit position – they will lose their leverage and power before they’ve even made contact with the defender! Be sure to switch up the defensive alignment – heads up, and both inside and outside shades.